Flubaroo is a Google Sheets Add-on that can grade Google Form submissions. It has the ability to easily grade multiple-choice questions, but can also grade free response, as well. 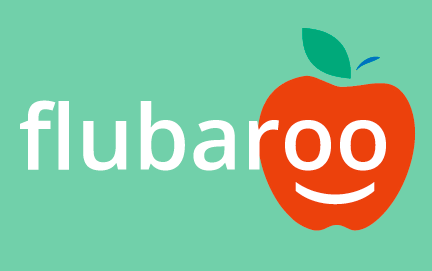 Flubaroo also has some other features that are awesome for teachers. It can auto-grade, and send results to the student as soon as the student hits submit. Here is a link to the Flubaroo website, if you'd like to see their description and materials. Flubaroo also has some interesting grading features that you may want to be aware of. They are described here and demonstrated in the video. 1. In order for Flubaroo to grade answers and be case-sensitive you need to fill out the key with a %cs in front of the response. If you need a capital C in Columbus, answer the key with %cs Columbus. If there is no %cs, Flubaroo doesn't care about capitalization. 2. If you would like to allow multiple correct responses, you'll need to fill out the key with a %or in between possible solutions, like red %or white %or blue, when asking for a color in the USA flag. 3. If you would like an answer to fall within a certain range, like between 3 and 4, you'll need to use a %to between the numbers. If the key shows 3 %to 4, it will allow a correct response for anything from 3 to 4. These are some nice possibilities that Flubaroo allows for grading. Below is a tutorial of how to use Flubaroo. Give it a look! How about Google? They definitely listen to suggestions. They have made two really nice improvements. 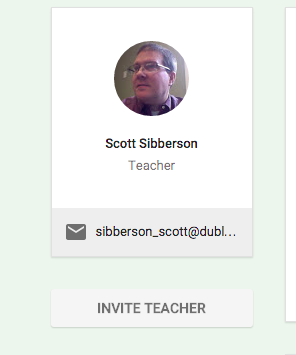 First, they have added the ability to have multiple teachers in a Google Classroom. See my previous post about getting started with Google Classroom, if you want to get going. Now you can invite another teacher to help out. This is great. That teacher can do everything in the class, except delete the class. The teacher is invited through the "About" section of the course. 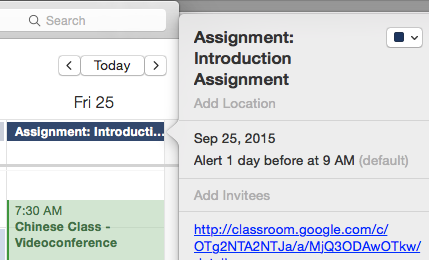 The other new feature is the ability to create announcements and assignments and save them for later. You can create the assignment without the students seeing it. Then, when you want them to have the assignment, you make it active. This is an awesome feature for teachers who like to work ahead, without the students knowing what is coming. I really give it up to Google for listening to the suggestions teachers have made. 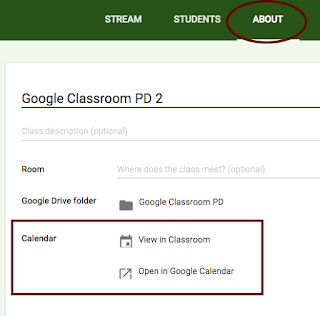 Give Google Classroom a try, it will really help your sharing of documents with your students. There has been a recent change to the edits you can make to a Google document. 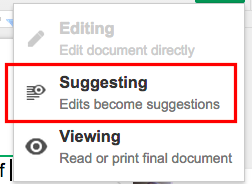 Now, as long as you have Commenting or Editing permissions, you can "Suggest Edits" to a document. You start a suggestions by placing your cursor where you want the edit to go. You select "Suggesting" from the menu on the top right of the document. You'll see a pencil icon up there. Then type the suggestion. It will show up in the document, but not be official until the owner "OKs" the suggestion. Here are your choices of edits. Notice, the Editing choice is "grayed" out because the example I chose came from a document that I only had "Commenting" permission. When you type in your suggestion, it will show up and a "post-it" will show up on the right to show what the suggestion was and where it should go. The owner then needs to approve or disapprove of the change. The owner gets an email to notify them of the suggestion. This is a pretty nice feature. It makes the suggestions a little nicer than just highlighting and making the suggestion in the "Comment" box. 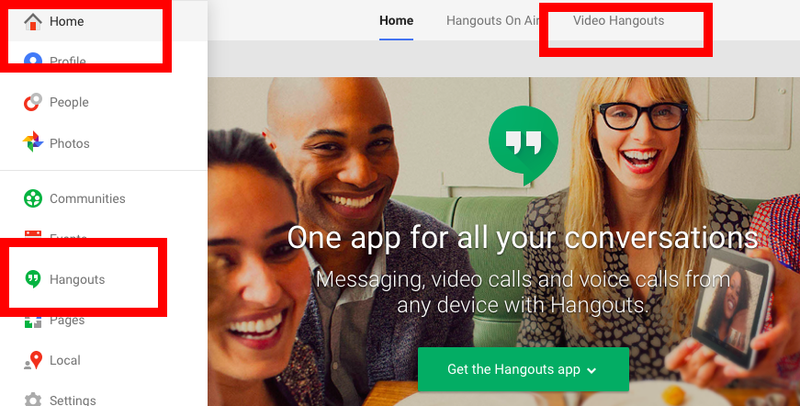 Next time you are collaborating with someone, give the "Suggesting" option a try. 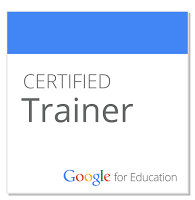 This year, Google introduced Classroom as a tool for teachers in Google Apps for Education domains. Classroom has proven to be a very helpful tool to help teachers and students work together and keep their documents organized. Classroom is built to perform some tasks very well. 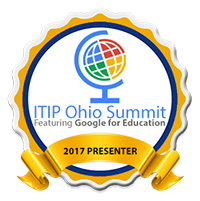 It is great at providing teachers a platform to make announcements (and other communications) to their students, distribute and collect assignments from students (with all of the great features of Google Drive), and provide an online collection of digital resources for their students to access at any time. Google Classroom is a very nice tool for teachers to utilize. Below is a video of how a teacher would create their Google Classroom, as well as what that classroom looks like as a student. It will walk you through what you need to know to get started with your students. Give it a look. Now that you've seen it in action, you probably want to give it a try. Go ahead! Here are some suggestions as to how you might use Google Classroom with your students. Share Materials - Use the “Announcement” to distribute files, Google Drive files, YouTube videos, and Links to your students. It can also share to any other classes you teach, as well. Class Discussions - Use the “Announcement” to pose questions for class discussions. Your students will be able to reply to you and each other. Distribute and Collect files - Use “Assignment” to distribute and collect files to your students in an organized manner. Your folder in Drive will thank you for it. It will also allow for the ownership of the file to pass back and forth with the student. Shared editing of a file - Give the students access to edit a document with their classmates. The will be able to co-edit and create some great work. They could create a Presentation by sharing a Google Slides presentation, then each student could add a slide. Go Paperless - Pass out and collect everything right in your classroom. Google Classroom is a pretty awesome new tool. Google is working to make improvements, as well. I am curious to see where it ends up, but I think teachers will love it. 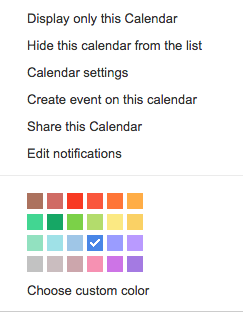 Google has listened to many users that wanted their "Shared with Me" button back in the new Google Drive. Google changed "Incoming" back to "Shared with Me." It also added some features that will be demonstrated in the video below. 1. Being able to click on the object - Incoming would only allow "hovering," when you wanted to work with an item in your "Incoming" folder. 2. Being able to drag an item directly into a folder that is on your Google "My Drive." 3. Being able to select multiple items at one time. You can do this on a mac by holding down the command key. This used to be an option in the old drive, because you could select with check boxes. I say, "Welcome Back!" to this feature. 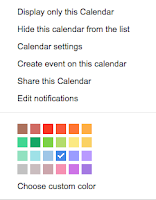 Check out these changes in Google Drive.